New research has revealed that e-cigarette vapour boosts production of inflammatory chemicals and disables key protective cells in the lung leaving air spaces susceptible to harmful particles. Published in the BMJ journal Thorax, the research found that the e-cigarette vapour impairs the activity of alveolar macrophages, which engulf and remove dust particles, bacteria, and allergens that have evaded the other mechanical defences of the respiratory tract. The findings showed that further research is needed to help better understand the long-term health impact of vaping on people, as some of the effects were similar to those seen in regular smoker and people with chronic lung disease. To help find out how vaping might change the chemicals within the e-cigarette liquid and how it impacts the body, researchers devised a mechanical procedure to mimic vaping and produce condensate from the vapour. Alveolar macrophages from lung tissue samples were extracted and provided by eight non-smokers who were suffering from asthma or chronic pulmonary disease (COPD). A third of the cells were exposed to plain e-cigarette fluid, a third to different strengths of the artificially vaped condensate with and without nicotine and another third were exposed to nothing for 24 hours. Results showed that the condensate was significantly more harmful to the cells than e-cigarette fluid and that these effects worsened as the ‘dose’ increased. After 24 hours of exposure the total number of viable cells exposed to the vaped condensate was significantly reduced compared to the untreated cells, and condensate containing nicotine exaggerated this effect. What’s more, the ability of cells exposed to vaped condensate to engulf bacteria was substantially impaired, although treatment with an antioxidant restored this function and helped lessen some of the other harmful effects. 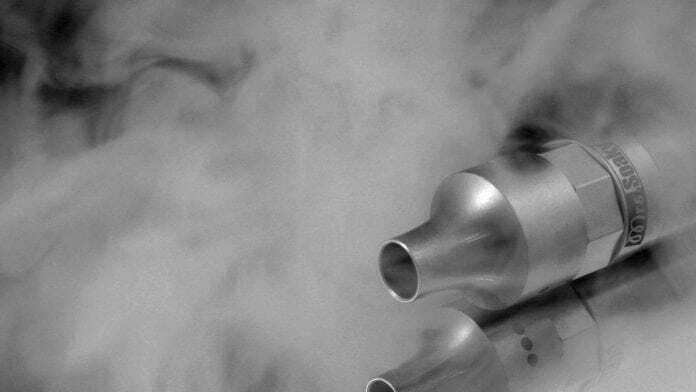 Researchers concluded that the vaping process itself can damage vital immune system cells, at least under laboratory conditions.